Home » Atlanta REIA Blog » News » Events » Meetings » Your Marketing Strategy & Tactics for 2019! Your Marketing Strategy & Tactics for 2019! 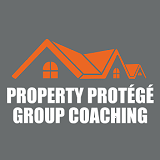 If so, please join us Wednesday, January 23rd at 6:30PM at the Property Protege Group (PPG) hosted by Don DeRosa and Dustin Griffin at 3125 Presidential Pkwy, Atlanta, GA.